A Fact-based Reviewer of Prepaid Cell Phones from Straight Talk, Net10, TracFone, and FreedomPop. Find detailed reviews on Samsung, LG, ZTE, Alcatel, Huawei, HTC, Motorola, and Kyocera mobile phones. Each review includes pricing information, where to buy and wireless plans the phone supports. The wireless plans are monthly no-contract plans and nicely priced; ranging from 100% free to affordable premium plans. State of the art smartphones and feature phones - designed for the way you live. With Prepaid LG phones, enjoy the newest features, plus calling and texting. Reviews, Promotions, and Deals on Cell Phones from Verizon, FreedomPop, Net 10, Simple Mobile, Sprint, Straight Talk, Tello, TracFone, Q Link, Total Wireless, Twigby. Get your next smartphone from Net 10 Wireless and enjoy up to 40% Off on the purchase + Free Standard Shipping. Use code NT40OFF while making your order. Exp. July 31, 2018. Check out clearance sales offers and deals on all smartphones from Straight Talk Wireless. Save an additional 30% off already awesomely priced handsets from Total Wireless. Purchase a smartphone with a service plan to enjoy this offer. Exp. July 31, 2019. Check out clearance sales offers and holiday deals on all smartphones on TracFone Wireless. Signup and get the best deals to your Phone. Straight Talk: Free Standard Shipping on all orders. Get your next cell phone or SIM Card from Straight Talk and Enjoy Free Standard Shipping on all orders! Exp. Mar 27, 2019. 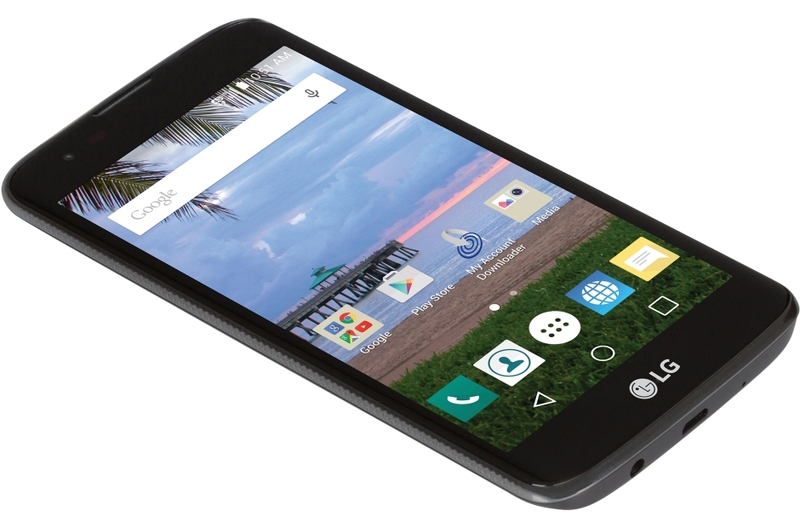 Order a phone from Tracfone and enjoy up to 40% Off on the purchase + Free Standard Shipping. Use code TF40OFF while making your order. Exp. July 31, 2018. LG Treasure L52VL is a 5-inch budget smartphone that boasts some of the specs found in high-end smartphones. A 1.1GHz quad-core processor gives it power, and it comes running Android 5.1 Lollipop. It's a CDMA phone, that means it will be activated on Verizon network so be sure to check before making your order. Actually, the LG Treasure L52VL is a CDMA variant of the LG Treasure L51AL which operates on a GSM/AT&T network coverage. All other specifications are the same. The LG Treasure L52VL is an amazing phone. It surprisingly includes a 5MP front camera which is hard to find on smartphones in this price range. Usually, you will find entry-level smartphones having at most 2MP front camera or none. Even though it's priced as an entry level smartphone, I believe it's a mid-level if you are to compare with specifications on other phones in the same price range. LG phones usually have quite unique designs. LG Treasure L52VL is not an exception as you are about to find out. It has slightly rounded corners and a sleek design that's really attractive. 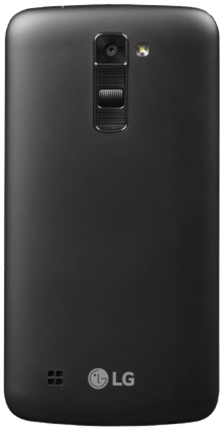 It's also slim with a smooth textured back cover that feels nice and very lightweight in hand. This phone really looks high-end. The 5-inch screen has a nicely beveled edge around it that brings up the high-end appearance. The front camera, together with the proximity sensor, are on the upper part of the screen which is a standard design in most phones. The navigation buttons on the LG Treasure L52VL are the floating types, embedded in the operating system, so they appear and disappear depending on what you are doing on the phone. You will notice a chrome bezel snaking around the frame of the phone which really feels premium. The lower edge of the frame has both the headphone jack and the micro-USB charging port. There are no buttons whatsoever around the edges of the phone. At first glance on the LG Treasure L52VL, you might wonder how you are going to power on or increase the volume. That's where the back cover comes in; it's a little surprising. Both the power button and the volume rockers are on the back cover, just below the camera. Arranged vertically, we have the volume up, the power button in the middle and then the volume down. I did find this design to be unique and cool. Opposite the back camera, on the right is the LED flash. On the lower side of the back cover is your main speaker. The back cover is removable to gain access to the battery compartment as well as the SIM and microSD slots. LG Treasure L52VL comes with some of the best features you can expect in a smartphone. Seriously, it is a budget phone, yes, but the camera is of a high-end device. Why am I saying this? Both the back and front camera are 5MP. Most phones in this price range have back cameras with fewer pixels, and some even lack front cameras. The LG Treasure L52VL has a very powerful front camera that takes incredibly decent photos. One thing I found impressive about the front camera is one little feature where you can take selfies by voice commands. This is cool because you avoid straining trying to press the capture buttons. This means you get very straight photos, whether you are taking a selfie with a friend or alone. You simply say "cheese," and boom! The selfie shot is taken. The back camera has a LED flash, an addition to the already powerful 5MP. So taking pictures in the dark is no problem. Even in dark surrounding, the photos produced are bright, and you will love them. Apart from capturing shots by voice, you can take photos using gestures with the front camera. For example, raise your hand in a clenched fist, and the camera will detect and start the timer allowing you to move your hand in preparation for the shot. I believe this is a great feature to have on a camera because it makes the whole photo shoot experience enjoyable. I have only described two features that are amazing on the camera so far. Now the camera does include other features and modes that you can experiment with and get rid of boredom as you take photos. It has autofocus that lets the camera pick up the subject and blur the rest of the background. You can also take interval shots with the front camera - which takes 4 selfies in a row. Other features include burst mode, white balance, geotagging, and HDR. The LG Treasure L52VL comes with a 5-inch display which looks very premium. It has a resolution of 854 x 480 pixels which performed incredibly regarding brightness. When you go out to find a smartphone, you probably want one with a screen that is sharp and can actually show you clear videos. The LG Treasure L52VL is truly great on display, even when viewing from angles, the screen does perform wonderfully. When it comes to responsiveness, the display responds to the slightest touch and activates the operation accordingly. If you need a phone with a bright and very responsive screen, then you will love the LG Treasure. Now, outdoor visibility is also a factor when buying a phone. The LG Treasure L52VL display can handle outdoor visibility because it's made with IPS technology. I didn’t strain to see items on the screen, and I found that impressive. LG Treasure L52VL ships with 2045mAh battery which gives a talk time of up to 9 hours and a Standby time of 11 days. Given this is a fairly powerful phone with a quite large display, the battery capacity is a compromise. It can actually stay a full day if you are doing the basic operations, you know, like making calls, texting, or checking emails once in a while. However, activities that involve consistent data usage, like streaming videos and live Google Maps navigation, the battery may surrender in like 5hrs, that’s according to my usage. Nevertheless, this is a good phone that can help you accomplish all your daily tasks. On the LG Treasure L52VL is 8GB of internal storage. However, only 4GB is usable while the Operating System uses the other 4GB. Additionally, the phone has a microSD slot and can support a memory card of up to 32GB capacity. This is great because given the other powerful features on the phone, especially the camera, you will probably need more space to store all your photos. You will find the LG Treasure L52VL performance incredible because of the resources it packs. It's running Android 5.1 Lollipop which has very smooth animations and as well supports thousands of apps on Google Playstore. The LG Treasure is powered by a Qualcomm Snapdragon 1.1GHz quad-core processor paired with 1GB RAM. This is a very nice collection of features, which you are likely to find in high-end gadgets. I really liked the speed of this phone. The graphics are great, so it can handle any game you through at it. People love phones that load pages and stream videos fast enough. The LG Treasure L52VL is 4G LTE enabled, so you expect incredible speeds. When you are in a place with good network coverage, there's no buffering on YouTube. YouTube is the most used video streaming app. I really enjoyed the brightness and quality of the videos - this can be attributed to the resolution of the screen, but mostly the capability of the quad-core processor to handle the graphics. The LG comes installed with a variety of apps ready to use. All the Google apps are already installed, such as Hangouts, Google Play Music, Google Plus, Google Maps, etc. Talking of Google Maps, I did test out live navigation, and the response was impressive; it loads and populates location data in an instant, and is very responsive on rotating the screen, zooming in and zooming out. The phone does include floating navigation buttons as a norm of Android 5.1 Lollipop. Amongst the navigation buttons is the recent apps button which brings in an element of multitasking. Switching between recently launched apps is easier, and the device responds with some nice smooth animations. One interesting feature which I have found in most LG phones is double tapping on the screen to wake up the phone or to lock it down. You don't always have to locate the power button on the back when you can just double tap on the screen to turn it on or lock it. The LG Treasure L52VL has a lot of other cool features built in it. One fun feature that I found, which the camera uses also, is the voice command. Now on the phone, there is an app called 'Voice Search' which utilizes the full potential of the voice command. Using this app, you can actually do research on Google by speaking out your questions, starting with “Hello Google…”. The app will even read the search results to you. What's more, you can even ask it to send an email to someone; then you dictate the message. Cool, isn't it? The gadget includes a few other connectivity features and sensors. It has Bluetooth 4.1 for quick sharing of files between devices. It is Wi-Fi enabled so you can connect to hotspots. It has a proximity sensor and an accelerometer sensor. Accelerometer lets you control games by turning or tilting the phone. The proximity sensor detects how close your phone is to you. For instance, when making phone calls, the proximity detects when you place the phone on the ear and automatically turns off the backlight and locks the screen - this actually extends the battery life. Personally, I think this a great phone that gives you value for your money. 5MP back camera. 5MP front camera. Battery capacity: 2045mAh. Talk time up to 9 hours. Standby time up to 11 days. Internal Memory: 8 GB. Supports external SD card of up to 32GB. Dimensions: 5.65'' (Height) x 2.85'' (Width) x 0.35'' (Depth) inches. Processor: Qualcomm Snapdragon 1.1 GHz Quad-Core. $31.50 monthly with auto-fill; Unlimited Nationwide Calling and Texting, Unlimited Data (2GB Data at High Speeds, balance on lower speeds), No Contract. $36 monthly with auto-refill; Unlimited Nationwide Calling and Texting, Unlimited Data (4GB Data at High Speeds, balance on lower speeds), No Contract. $45 monthly with auto-refill; Unlimited Nationwide Calling and Texting, Unlimited Data (8GB Data at High Speeds, balance on lower speeds), No Contract. $60 monthly; Unlimited Nationwide Calling and Texting, Unlimited Data (10GB Data at High Speeds, balance on lower speeds), No Contract. $60 monthly with auto-refill; Unlimited International Calling to mobile numbers in Mexico, China, India, Canada and 1,000 other landline destinations. Unlimited Nationwide Calling, Texting, and Picture Messaging, Unlimited Data (8GB at high speeds, balance on lower speeds), No Contract. $34 monthly with auto-refill; Unlimited Nationwide Calling and Texting, Unlimited Data (2GB Data at High Speeds, balance on lower speeds), No Contract. $44 monthly with auto-refill; Unlimited Nationwide Calling and Texting, Unlimited Data (10GB Data at High Speeds, balance on lower speeds), No Contract. $54 monthly with auto-refill; Unlimited Nationwide Calling and Texting, Unlimited Data (Ultimate Unlimited Data at High Speeds), No Contract. $59 monthly with auto-refill; Unlimited International Calling to mobile numbers in Mexico, China, India and Canada, 400 Minutes to Claro Guatemala, Unlimited Nationwide Calling, Texting, and Picture Messaging, Unlimited Data (10GB at high speeds, balance on lower speeds), No Contract. $14.25 for 30 service days with auto-refill; 200 Talking Minutes, 500 Texts, 500MB data, No contract. $20 for 30 service days; 300 Talking Minutes, 1000 Texts, 1GB data, No contract. $23.75 for 60 service days with auto-refill; 500 Talking Minutes, 1000 Texts, 500MB data, No contract. $33.25 for 60 service days with auto-refill; 750 Talking Minutes, 1000 Texts, 1GB data, No contract. $45 for 90 service days; 750 Talking Minutes, 1000 Texts, 1.5GB data, No contract. $50 for 90 service days; 750 Talking Minutes, 1500 Texts, 2GB data, No contract. $118.75 for 365 service days with auto-refill; 1500 Talking Minutes, 1500 Texts, 1.5GB data, No contract.